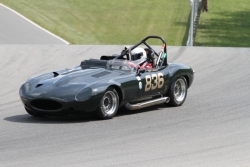 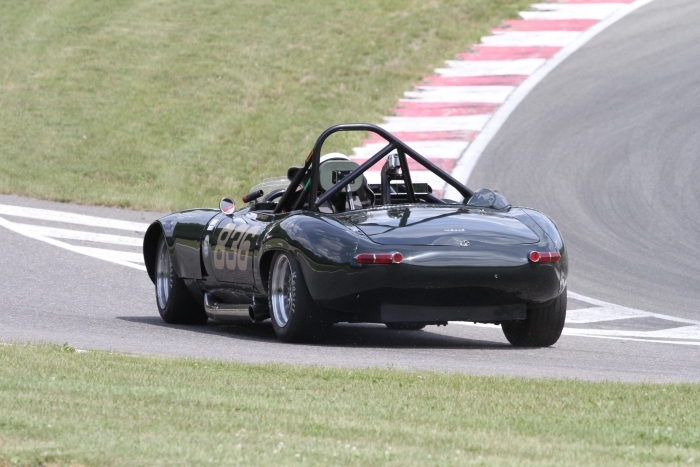 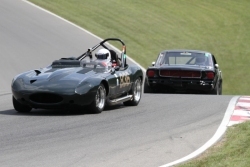 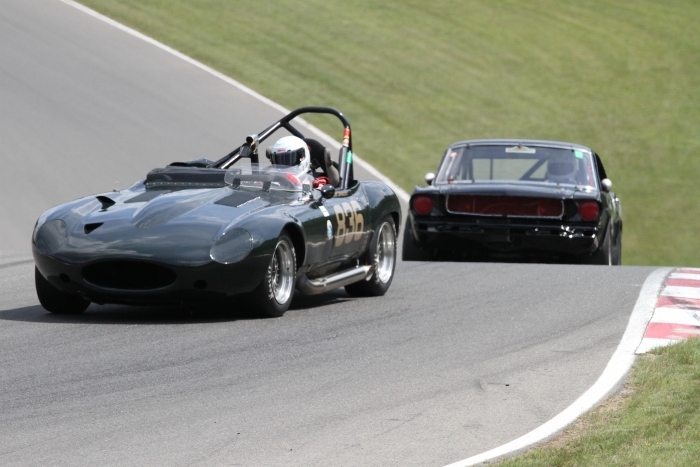 Ride along via the onboard camera in Terry Lippincott's 1963 Jaguar E-Type race car. Video was shot on July 10, 2010 during the running of the Legends of Motorsport Series at Circuit Mont-Tremblant in Quebec. 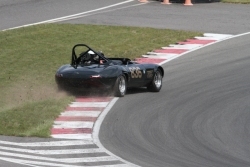 At this point in the race, the engine was beginning to overheat and was pushing coolant past the overflow and under the car. 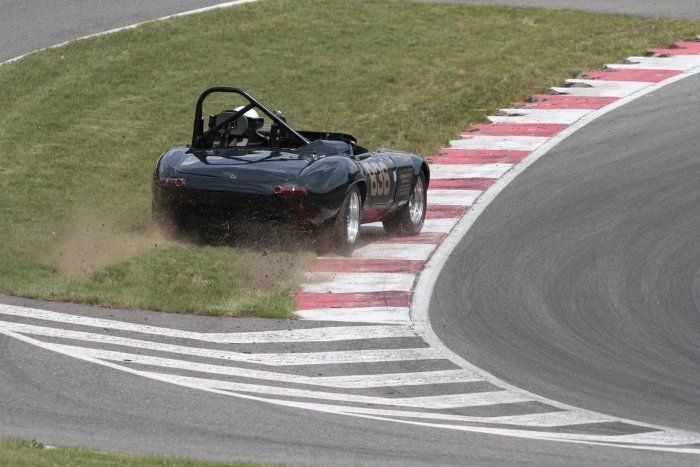 The rear tires picked up some of the water and lost traction just as Terry was approaching the curve at the pit entrance and forced him to go wide.